“If you want legislative change, then you need culture change.” So said Rev. Fletcher Harper, Executive Director of GreenFaith, at the Living the Change workshop, part of the recent Global Climate Action Summit gathering in San Francisco. 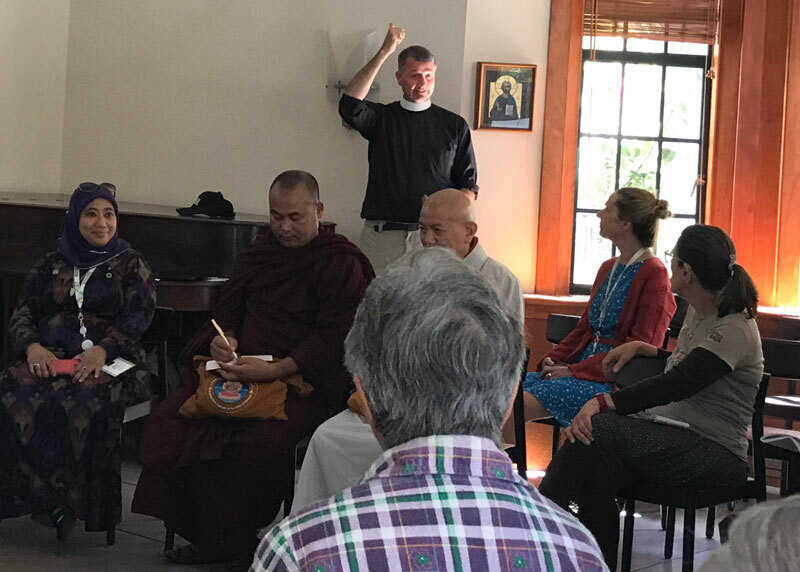 The Living the Change workshop was hosted by GreenFaith, an interfaith coalition with the mission of helping people of all faiths to become better environmental stewards. It was one of more than 350 affiliate events in the Bay Area that week. Leaders from different faith traditions shared experiences on building narratives around sustainable lifestyles, behavior change, and community engagement. Walk the talk. Leaders need to commit to model behaviors publically. Create activities. Provide opportunities for people to experience new behaviors. Celebrate. Make the process of changing habits enjoyable and fun. Tie to the big picture. Link the effects of individual actions upon the whole of society. Although all six elements are critical to creating permanent culture change, Managing Director of Sustainability at Hazon, Jeremy Kranowitz, believes that modeling the desired behaviors is paramount. Deliberate individual actions compound into collective impact over time. Other simple lifestyle choices that will make significant environmental change include eating a plant-based diet, using an electric car, reducing transatlantic, and living car-free. One answer to those questions is the Global Catholic Climate Movement, which trained 460 individuals from 60 countries to bring change to their communities. The online training platform taught participants environmental science, key themes from Pope Francis’s Encyclical, Laudato Si’, and grassroots organizing. Other speakers suggested that reframing the conversation is pivotal to influencing sustainable lifestyle change. “Frame it as a practice, so the practice is embedded in everything we do,” advised Kristin Barker, Director and co-founder of One Earth Sangha. Barker acknowledges the inherent connectedness of humans and Earth's eco-system. Story submitted by Kei-Sygh Thomas, a freelance journalist based in Newark, NJ.